Garden Fencing in Portishead, Somerset. Just a short distance away from Bristol, overlooking the Severn Estuary is Portishead in North Somerset. Named during the Roman times, Portishead means ‘port at the head of the river’. 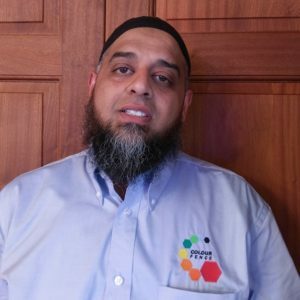 This traditional town has a very homely feel to it, it’s a very welcoming and friendly place even though it’s one of North Somerset’s largest towns. 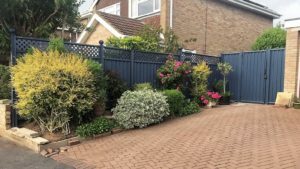 ColourFence is proud to offer the perfect fencing for the residents of this coastal town, proving them with beautifully strong fencing to complement their homes. 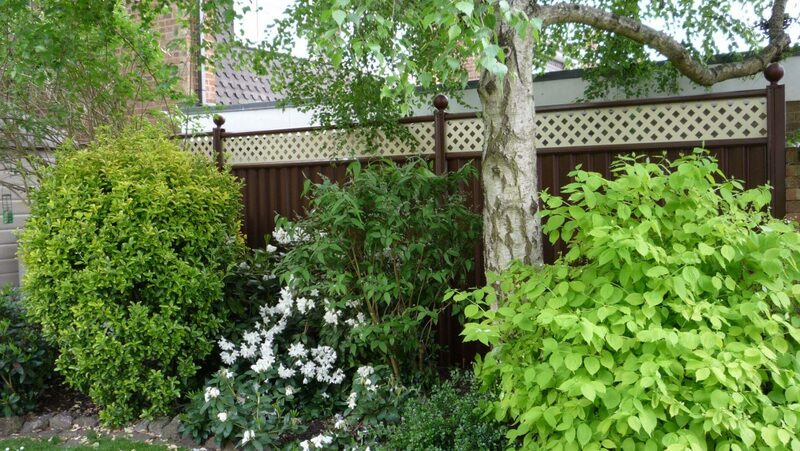 • Safe – Steel fencing keeps your home safer than a wooden fence, add our lockable gates for extra security. 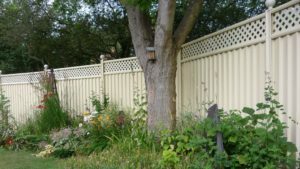 • Time-Saving – No more summer days wasted on fixing or painting the wooden fence. 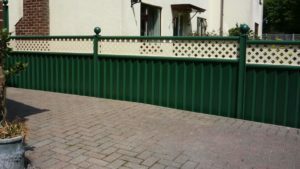 • Personal Style – Variety of heights, decorative options and colour combinations to choose from. 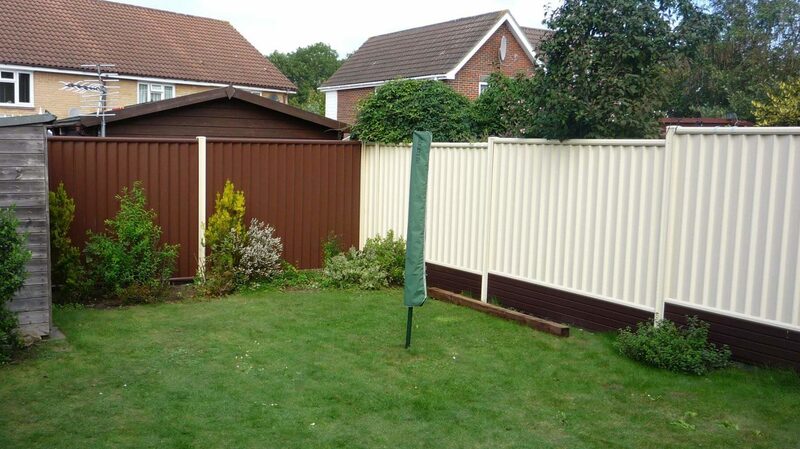 • 25-Year Guarantee – Once we instal the fence, you won’t need to worry about rust or the fence rotting. 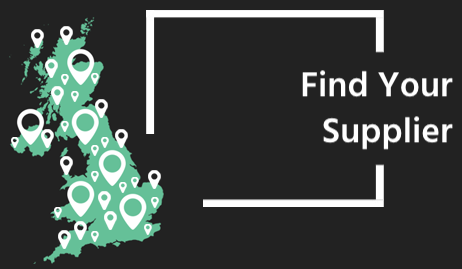 • Free Site Survey Service – We provide a free site survey and quotation service to give you an exact cost before you make any decisions. ColourFence is steel garden fencing which complements any garden with its beautiful design and colour. Choose our classic brown for a traditional fence look, or dare to be bold with our blue ColourFence. ColourFence is a lot stronger than a traditional wooden fence, and it is also low maintenance as it doesn’t need to be painted. Ever. 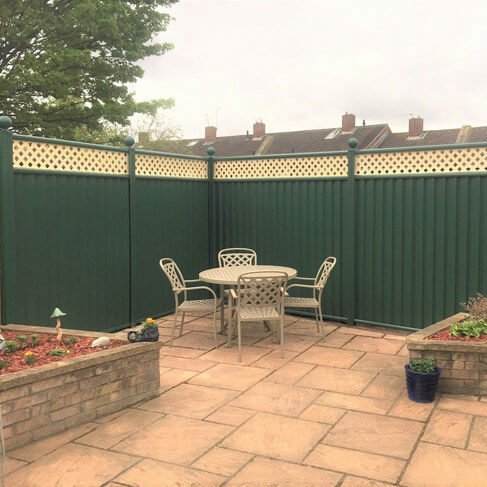 We install our fences and fit them to your property – following the natural shape of your land, and our fence has a 25-year guarantee so you can relax knowing your fence is going to last for years to come. 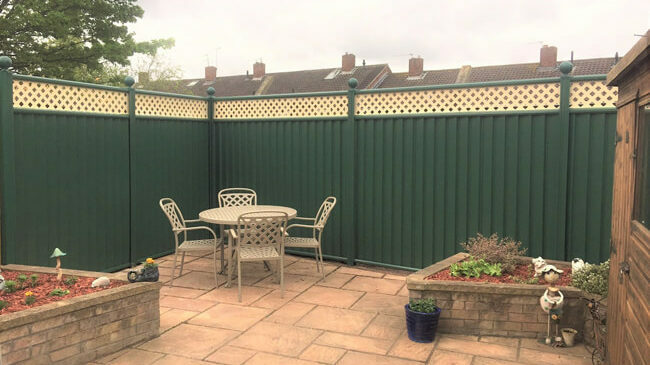 Here at ColourFence South Bristol, we understand the importance of having a product that you love, which is why we take the time to visit you for a free, no obligation, site survey and quote to go through all the options and recommend what we think would suit your garden best. 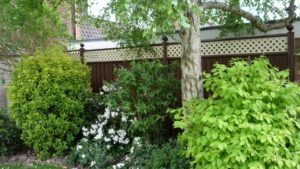 If you decide to go ahead with the fencing then we arrange a date and time which is convenient for you to start work on your garden. We ensure we leave no mess and once we are done you will have a fence to be proud of as well as any further support you need from us in the future.